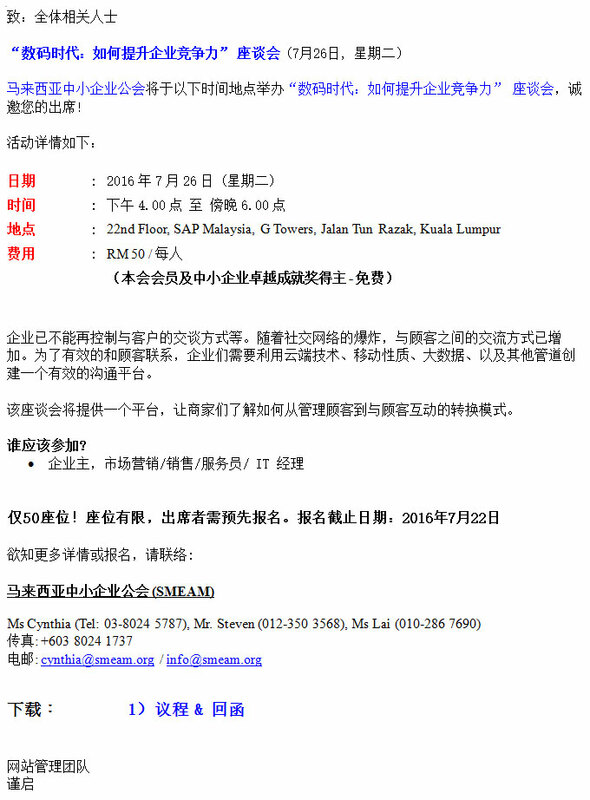 Please be informed that SME Association Malaysia (SMEAM) would like to invite you to participate in the seminar on Digital Disruption: Competing In the age of the customer on 26th July, 2016 (Tuesday). The age of the empowered customers and its powerful disruption is upon us. Organizations no longer control the conversation with the customer. With the explosion of social network, the conversation has become multi-way. We need to create an authentic customer experience harnessing the technology of the cloud, mobile, big data, and multi-channel, social to create the segment of one. Join us to understand the paradigm shift from customer management to customer engagement. Anderson is a multiple award winning and trusted advisor to businesses with proven track record in providing business value and solutions to help them transform to the digital economy.